Make a Difference, BEcome A HERO! YOUR CONTRIBUTION WILL HAVE A POWERFUL IMPACT. We are donor funded and 100% volunteer powered, leveraging your donations to heal German Shepherd Dogs, improve their lives and provide them a loving forever home. We accept one time donations through PayPal and Square. If you support us with a little extra while paying your adoption fee, the donation will be processed along with the adoption fee through Square. We accept recurring donations, sustaining us with your monthly, quarterly donation through PayPal. We are honored if you choose to become a sustaining donor with a scheduled recurring donation. As a Facebook Non-Profit Partner, donations made through our FB donate button and through FB fundraising campaigns by our generous friends do not incur any processing or credit card fees. You may donate once or create a monthly sustaining donation. We are also a PayPal Giving Funds partner, allowing donations through that venue and EBay to reach us directly without fees. If you are donating specifically to benefit a dog or a program, please note such in the memo section of your online or check donation. Donations of $250 or more qualifies you for a large photo of your dog as a ShepHeroes supporter to be featured at a Pet Food Express, it’s a wonderful way to advertise our rescue potentially paving the way for the next adoption. Those who donate $250 or more are guaranteed to see their poster displayed in the store for six months, and for a donation of $500 or more, the image is guaranteed to be up in the store for at least one year. In-kind donations are always welcome! Donations of dry dog food, treats, crates, leashes, collars, dog beds, metal food bowls, sturdy toys, preventatives are particularly appreciated. Please email us for drop off connections. We are delighted to complete the requirements for corporate matches for your cash and volunteer hour matching donations. Your donations are boosted by your employers corporate philanthropy, supporting organizations you value. 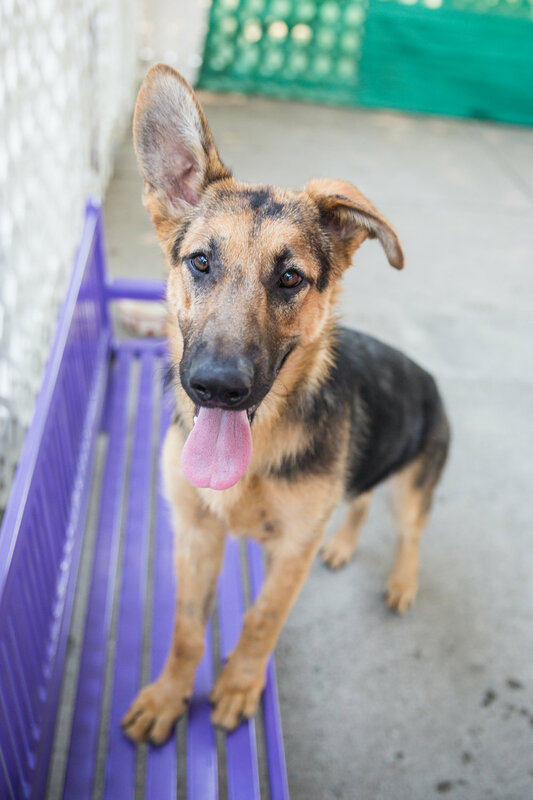 One of shepherds has captured your heart, yet it’s not the right time to adopt? Sponsoring a shepherd is a wonderful way to care for a love. Please note the shepherd’s name in the memo section.